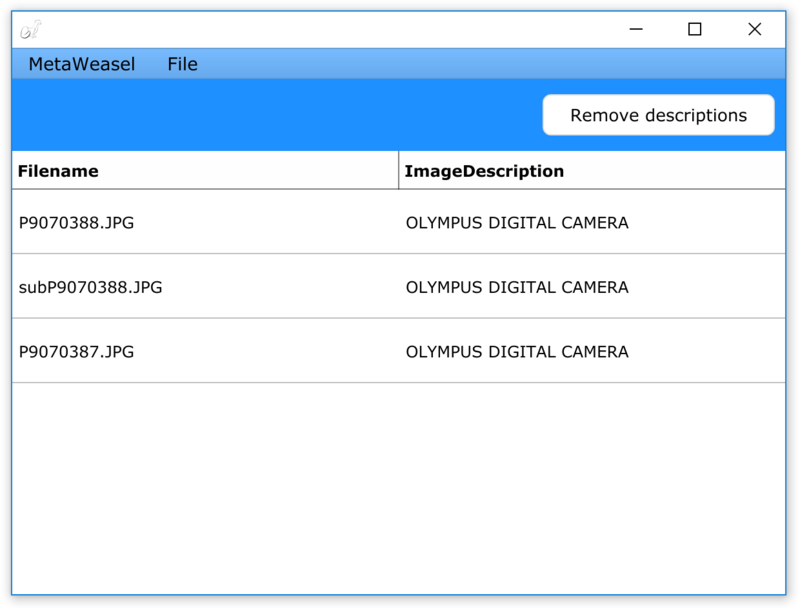 MetaWeasel lets you view exif metadata on images and remove Exif.Image.ImageDescription tags from them, a common and tedious task that photographers have to deal with manually. MetaWeasel runs on both macOS and Windows. 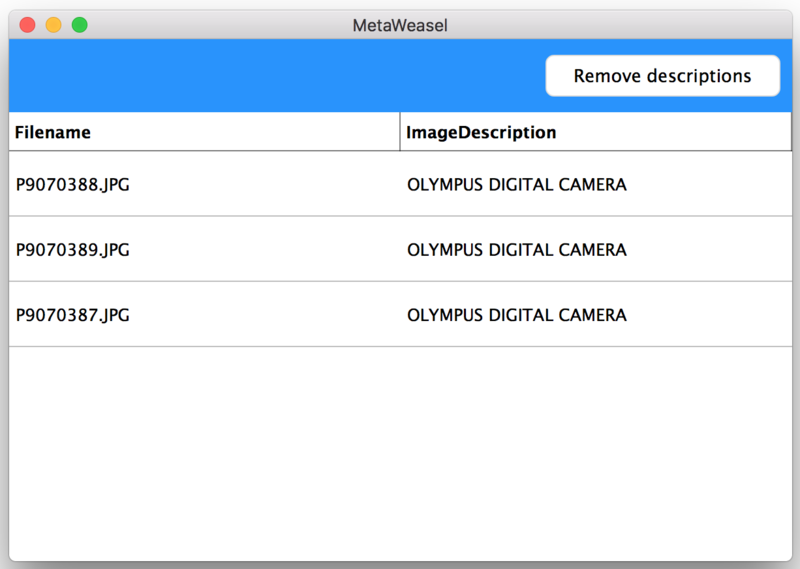 The latest version of MetaWeasel is 0.2, released on March 5th 2019.